This user guide provides you with all the information needed to get started with setting up your very own online shop. Discover PrestaShop’s unique features and learn how to enable each of them on your store. Master the PrestaShop software and maximize your store’s potential. Learn to customize your PrestaShop store with themes and modules, improve your sales by leveraging key statistics, and quickly take your shop from a side product to a profitable venture! Already own this user guide? Tell us what you think! Do you use PrestaShop v1.4? 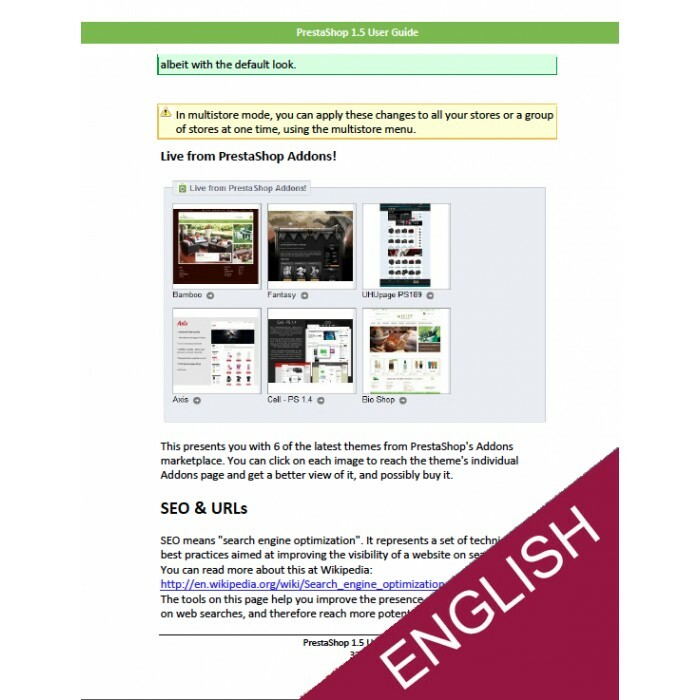 Click Here to find the User Guide for PrestaShop 1.4 !